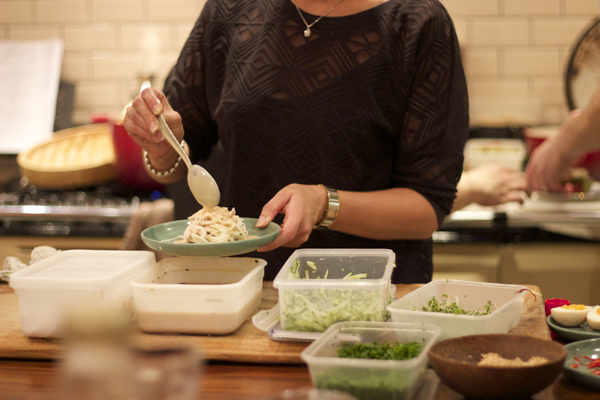 Don’t fancy cooking and want to eat out in the comfort of someone else’s home. Sure, you will be sharing a table with complete strangers, which is the fun of the experience. 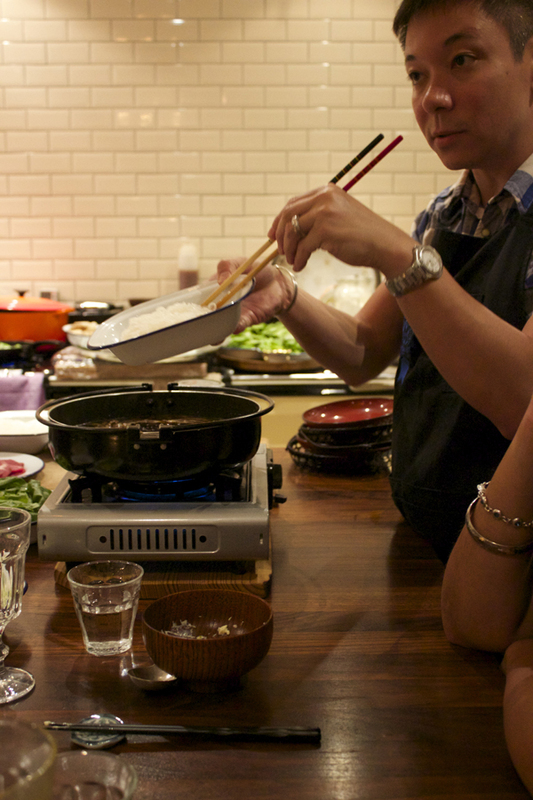 For a mere price of £40, you can get a multi-course restaurant quality Japanese meal at Luiz’s Islington home. 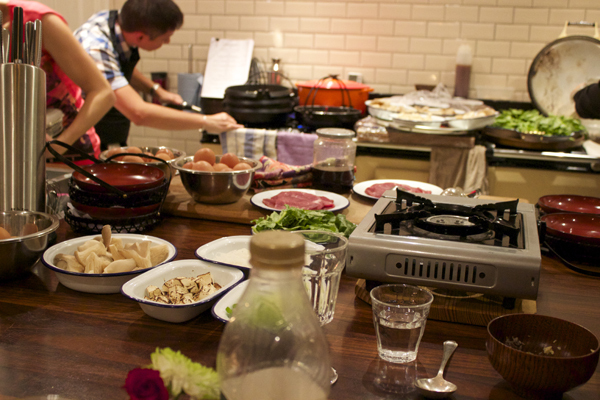 The London Foodie supper club was one of my wish list for many years, every foodie enthusiasts should have heard about now. Luiz Hara born in Brazil has a mixed heritage of Japanese and Italian. Left investment banking and went to complete the Grand Diplome at Le Cordon Bleu (this is a top cookery school). Start the night with a welcoming drink and tasty canapés in the living room, and then head downstairs is the large kitchen. 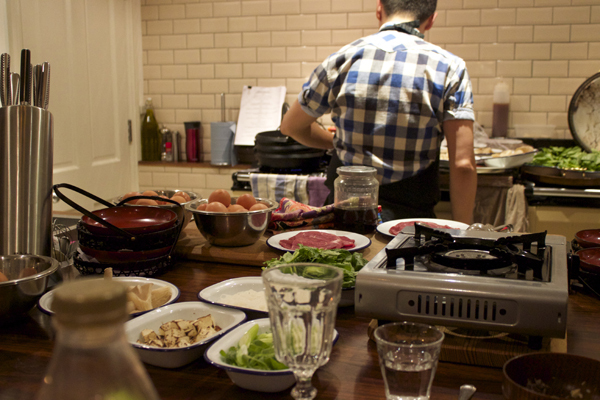 The London Foodie supper club is super organised, seating is arranged and food is served by table order. Sitting on the master chef table, I get see the chef’s and helpers usually its Luiz sister and volunteers serve our dishes. 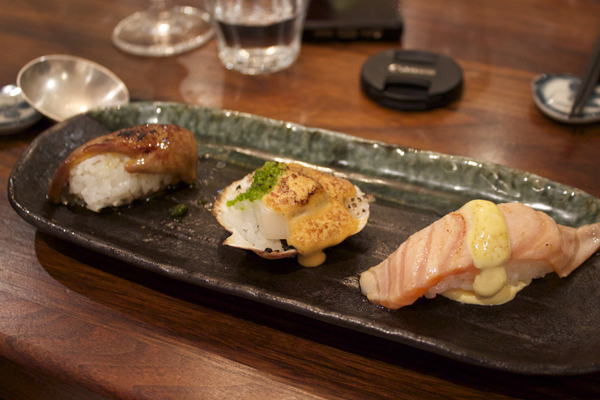 For starters, we had the surf and turf, 3 pieces of sushi, professional presented and flavourful, tackled in 3 bites. 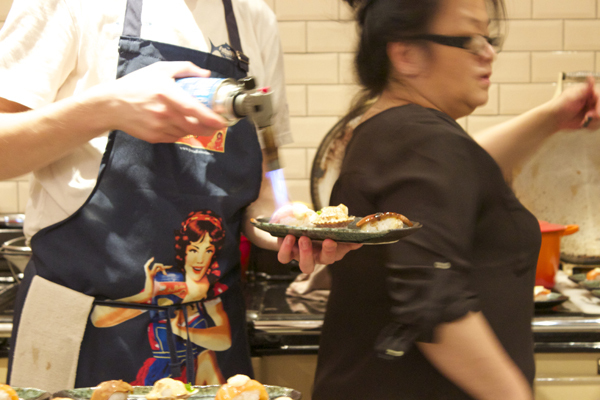 The highlight was the flame torched foie gras, with a glaze of sticky teriyaki sauce. 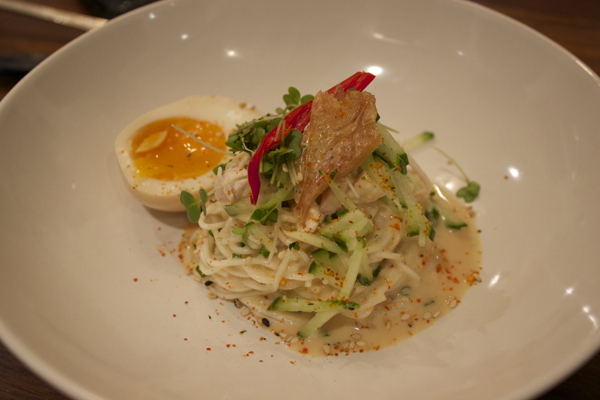 Next up were the incredible noodles, in a rich creamy white sauce, topped with sliced cucumbers accompanied with a soft-boiled egg. 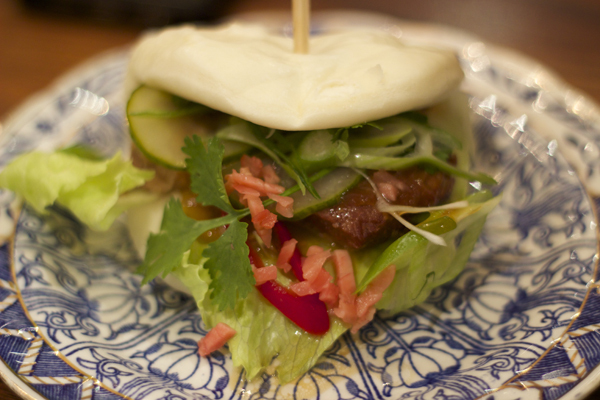 Then it was the popular fluffy steamed hirata bun stuffed with salad and delicious savoury pork. 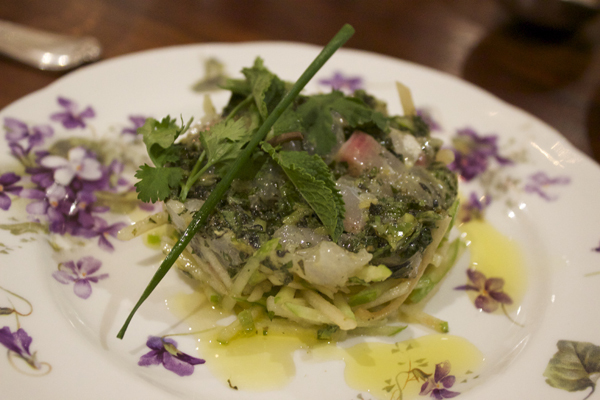 Up next was a similar dish I had at Laduree, sliced apples, topped with fresh raw fish drizzled in a light dressing. Can you believe all the above was just for starters? 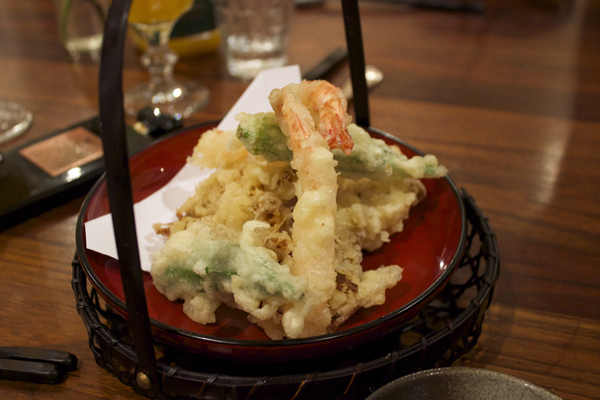 Just before we began with the mains, a basket of mix vegetables, prawn tempura and a bowl of silken tofu with seaweed salad were served to us. 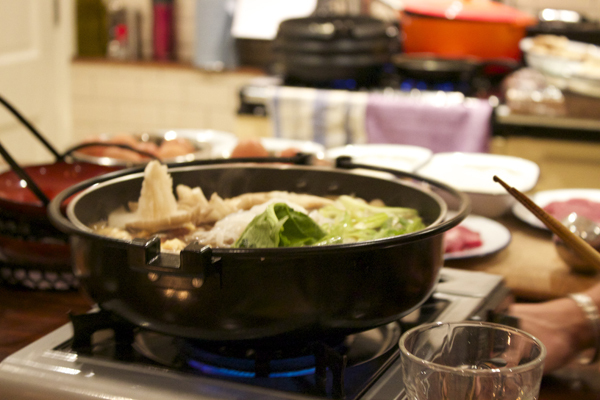 On the night, Luiz brought back the shabu shabu hot pot. 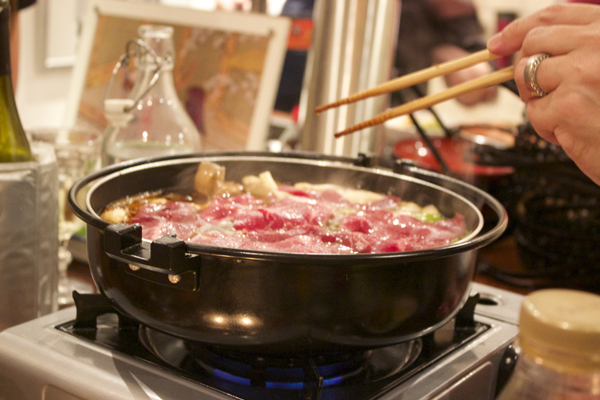 Shabu Shabu consists of raw assorted vegetables and paper-thin raw beef cooked in a rich dashi broth. 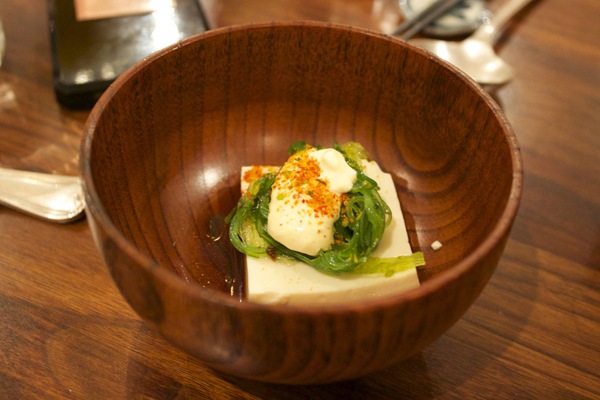 Traditionally you dip your cooked food in a bowl of raw egg and eat it. 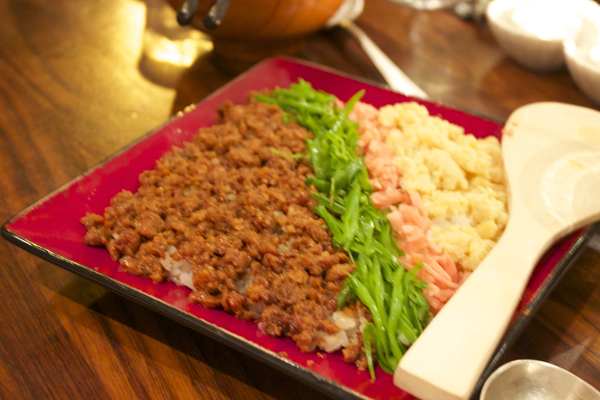 Along with shabu shabu, we had fried rice with ground meat, ginger. 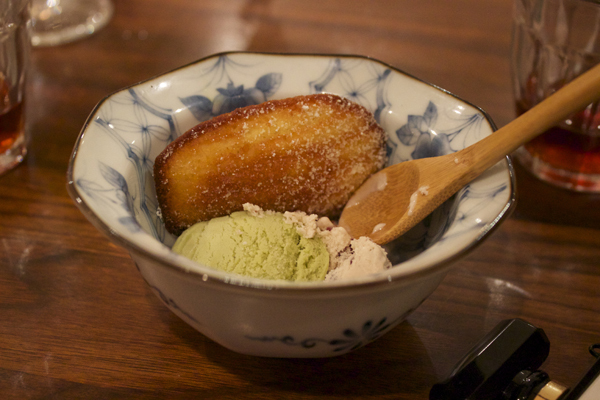 To finish off the evening desserts were green tea and sesame ice cream and madeleines. 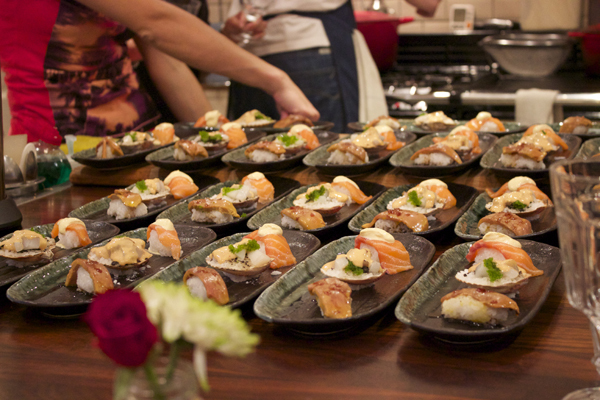 As you can see from all the photo’s The London Foodie supper club will leave you full to the max, outstanding restaurant quality food all cooked at someone’s home. £40 is merely anything to what you get. My friend I brought along with me loved the experience and cannot wait for me to take him to other people’s supper clubs. Sounds like great fun and the food looks really good! 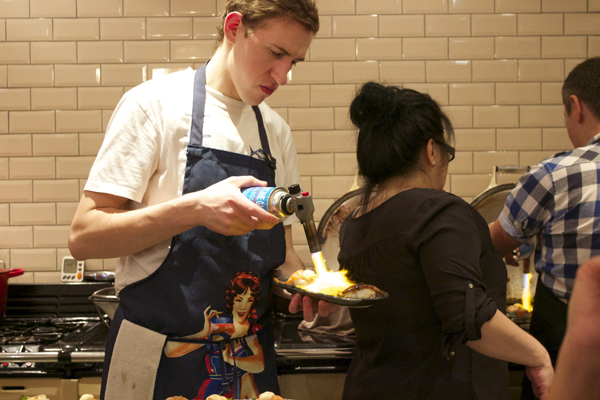 I’ve still never been to a supper club, but there are some great ones in London so I need to try one soon! My third time going to one, great experience, and amazing food. So many in London. Yes, will need to try your one out. So many places i want to try!